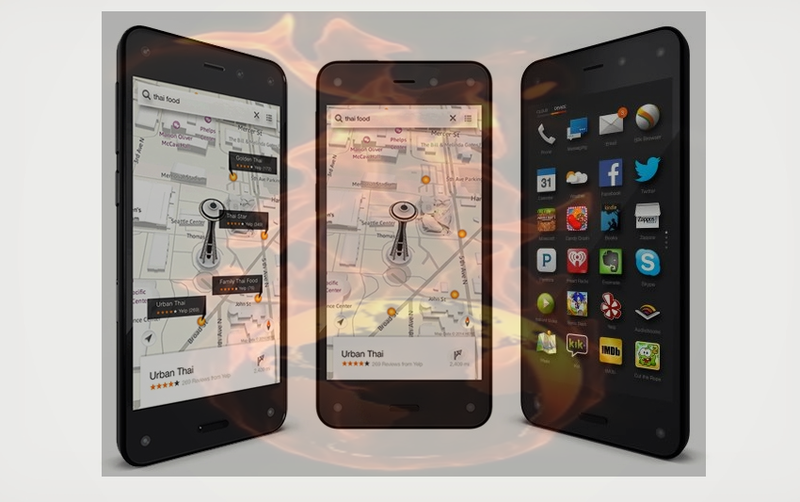 Amazon officially launched its first smartphone called Fire Phone, Released date of Amazon Fire Phone is 25-July-2014. 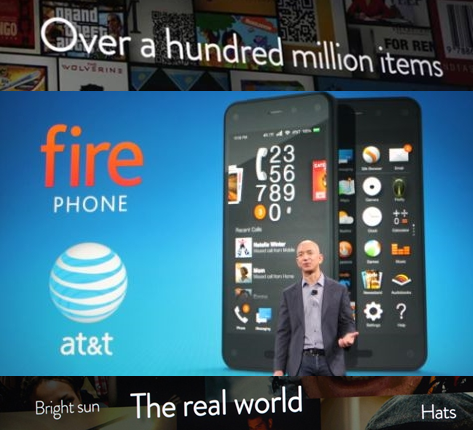 Fire Phone is the only smartphone which has Dynamic Perspective, Firefly technology, Mayday these are the built-in Apps and technology for users. Dynamic Perspective: is the sensor system which sense or responds according to your movements like how you hold, move and view your Fire Phone. One-handed short cuts. (Tilt, Swivel, Peek). Firefly technology:is a button on left side of Fire Phone when you press the button you can quickly access Phone numbers, web, and email addresses, Music, Movies & TV programs, Over 70 million products on Amazon. Mayday:is a customers support services provided by Amazon on your Fire Phone. 4.7-inches with 1280 x 720 pixel LCD screen, 2.2 GHz Qualcomm Snapdragon 800 quad-core processor with Adreno 330 GPU, 2 GB RAM, Memory 32 or 64 GB of storage, 5 GB cloud storage with extra free space via the Amazon Cloud Drive, NFC, Bluetooth 3.0, Wi-Fi 802.11 ac, 4G LTE, 2,400 mAh battery (up to 11 hours during video playback and 22 hours of talk time). 13-megapixel rear camera with a f/2.0 lens with optical image stabilization and auto-focus Features: panorama, burst, and action shots. 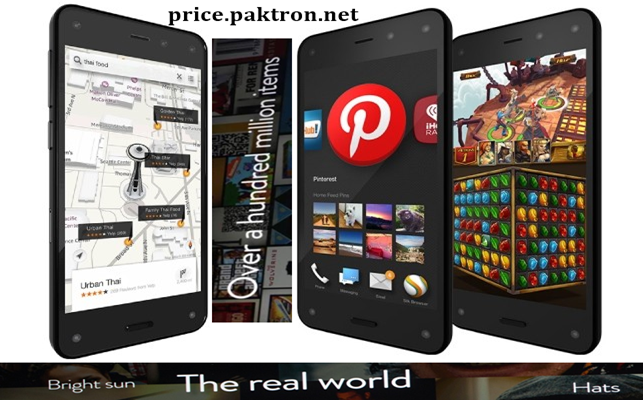 Note: 32 GB fire phone available on same price as other 16 GB smartphones, Also available with 64 GB for $100 more.